Miki, feeling she has lost everything when she sees Tachibana and Nakahara together, is on top of AOI getting ready to jump to her death. Before she can, Kirino comes and pulls her back off the roof’s ledge. Thank you, Kirino (though, lets face it, the lead rarely dies before the series ends – unless its Dead Like Me :P). Miki tries to get away to do it again, but Kirino holds fast, repeating for her to stop. He then tells her that when it’s her time to die it will happen and then Miki comes back with didn’t Bando kill himself? Ouch. Then Kirino gives her a much deserved wake-up call – he slaps her. Miki then cries and says that she has nothing left before fainting. You can tell Miki’s words really affect Kirino. When she passes out, he yells out her name and holds her to him. Kirino is a really good guy. It helps that I am partial to Fujiki Naohito I suppose. Miki is in the hospital with Kirino watching over her when a worried Ai comes rushing into the hospital room. Kirino asks if she is Miki’s little sister and she says yes. He then introduces himself as Miki’s boss. Ai asks what happened to Miki and he replies that she got drenched in the rain and got a fever – that was all. It is probably a good thing that he kept Miki’s real condition from Ai – it would make her feel even more guilty for being such a burden to her older sister. Kirino assures Ai that Miki will be fine now that she is in the care of the hospital and that Ai can go to school. Ai tells him that she has taken a leave of absence for her surgery, so she can stay and take care of Miki. This surprises Kirino and then Ai says that ever since their father had passed away, Miki has done all she could to help contribute to the medical fees and surgery cost. Kirino then recalls Miki’s words from one of the first times they met and interacted – “I have to do my best here.” Kirino is definitely gaining a lot of insight into Miki’s character. It doesn’t condone Miki’s attempted suicide, but it at least shows how much stress she is under to endure the bullying and hell that is her life at AOI. The next morning, Nakahara wakes up in a hangover haze and notices some things that are not his in his bedroom. He then glances in the mirror and notices a naked back behind him. Needless to say this complete shocks him as he has no recall of the night before. And I do wonder if indeed anything actually happened between he and Tachibana or if she just made a very elaborate setup to trap him. It wouldn’t surprise me if she did. That girl is all kinds of crazy. Tachibana rolls over and wakes up with a big smile while Nakahara just sits, eyes wide, mouth open in complete shock at finding her naked in bed with him. He asks why she is there (omo, what a silly question). Tachibana then asks if he remembers what happened last night. Nakahara says no and then asks if he did something to which Tachibana says “yes.” Nakahara then apologizes and muses out loud why he would do such a thing. Tachibana then asks him again if he really doesn’t remember the previous night. She then drops the bomb that Miki had come over as well. This gives Nakahara even more of a shock. Back at the hospital, Ai’s doctor (who must be the Tsunoda family doctor) asks Miki if she has been experiencing dizziness and ringing ears. Miki asserts that she has had these symptoms and the doctor tells her that it is all due to stress. He knows that Miki is the main breadwinner for the family and that she is working hard to earn the money for Ai’s surgery, but he tells Miki she needs to relax and not put so much stress on herself. She can slowly pay off Ai’s surgery and medical fees, she does not need to overwork herself to the point that her health is affected. You can tell how this hits Miki, because work is never not stressful. Add this to the pile of reasons Miki should quit her job. She is supposed to stay in the hospital for a few days in order to recover. Nakahara tries calling Miki who is out taking some air. She at first ignores the call, but she eventually picks up. She doesn’t let Nakahara speak and tells him that she never wants to see him again. Understandable given the situation, but its something they should at least talk about. Maybe. Is getting plastered a legitimate excuse to sleep with you girlfriend’s frenemy? Ai comes up and Miki tells her not to tell Nakahara that she is in the hospital. Ai asks if they fought, but Miki does not answer her. You can’t call if a fight when neither of them have even spoken about it as of yet. Miki’s coworker Shiraishi learns that AOI Trading Co. is making cutbacks and since she is a part-time, her contract will not be renewed. This shocks Shiriashi who had heard just the previous day that the contract was okayed for renewal. Sano hears this from Umezawa and she tells him that she would really like it if Shiraishi could stay. She even offered to put in a written report to the higher ups. Umezawa then tells Sano that if she doesn’t like it, then she can take Shiraishi’s place. Burn. Umezawa is just too cruel to Sano. Despite her uptight personality, she doesn’t necessarily deserve how he treats her. Shiraishi comes into the office and Sano apologizes, saying she just heard. The other coworkers are all surprised that Shiraishi will be leaving them. One worker even offers to throw a goodbye party when her husband is out of town next. Sano puts on a cheerful face and thanks Shiraishi for all of her hard work and asks her to drop in on the ill Miki. Later, Sano is going by the restroom and hears all of her subordinates bashing her for her attitude with Shiraishi. Sano then goes on another of her office drinking binges. Ai runs into Nakahara who is looking for Miki. She doesn’t tell him about her sister being hospitalized, but she does try to get out of Nakahara just what happened between her and her elder sister. Nakahara tells Ai that they did not fight, but he hurt Miki terribly. Which makes no sense considering how important Miki is to him – so how could he hurt her like that? Back at the hospital Miki sees Shiraishi and turns around, but Shiraishi sees her before she can make a clean get away and calls out to Miki. Awkward. I must admit to some shock that Shiraishi even came to see Miki. She asks Miki how much longer she’ll be in the hospital and Miki says two or three more days. Shiraishi then asks if Miki will be back to work the next week then. Miki begins to say that she doesn’t think she will be. This upsets Shiraishi who would love to be able to stay at AOI, but who has no choice but to be kicked to the curb with the cutbacks. Shiraishi says that since Miki was given the job so easily, then of course she can give it up easily. She then tells Miki she just doesn’t understand and goes to leave and is stopped by Miki saying that she wishes she could just disappear. This really affects Shiraishi who recalls Miki’s predecessor saying the same thing. At work, Tachibana and Nakahara run into each other. Nakahara takes her aside to officially apologize for what happened, telling her that it should have never turned out like that. Nakahara wonders how to take responsibility (no! don’t get on that track or else the evil witch will do whatever she can to ensnare you). Tachibana says she understands that he was greatly upset because of Bando and she couldn’t resist holding on to him. She doesn’t regret their one night at all. She then leaves. She seems quite hurt because of this, no matter how much she downplayed it. But guess what? I just can’t feel sorry for her. She knew that Nakahara loves Miki. She knew if anything happened she was just her substitute. So she really has no right to feel down about Nakahara apologizing and feeling terribly about what happened since he doesn’t like her in that way. Serves the witch right. Plus, I know she’s got some more evil plots up her sleeve. Meanwhile, Sano’s team is in trouble with Umezawa again. What is it this time? Umezawa found a USB drive outside of the company with information from Sano’s department on it. USB drives are strictly forbidden in case of corporate espionage or accidental leaks. You can tell that Kurita is worried about the drive being found so it is most likely hers. Sano apologizes and Umezawa says that all she knows how to do is apologize. All the problems they have stem from her team. In a meeting later, Sano asks her team about the drive and no one says anything until Kurita makes a comment about Miki’s absence. There is one person missing. That one person has made lots of mistakes and has even written a discriminatory blog about the team. Miki has officially become the scapegoat of Sano’s department. She was before, but this takes the case as she isn’t even there to defend herself. Her absence is her admission of guilt because she must have lost the drive and realized it. Oi, how ridiculous. Shiraishi seems to be very uncomfortable about this. Could it be she actually thinks Miki is innocent? Shiraishi goes to Miki’s house as Miki has officially left the hospital while Sano goes to Kirino to talk about Miki again. Sano tells Kirino that Miki probably won’t be coming back to work because she doesn’t know how to face Sano and the others about the USB issue. You can see Kirino’s exasperation with Sano. He asks if Sano heard that from Miki herself and Sano says that asking Miki is a waste of time and that Miki should just leave. Yeah, way to show how good of a boss you are. Kirino asks if she is seeing this correctly. Sano asks what and Kirino replies that it is hard to know someone’s true for. As a supervisor Sano is lacking because she does not look at things properly. This is very true. She is quick to blame and pass the buck without even looking at the situation. Kirino leaves and Sano just stands there not quite knowing what to do with his words. Meanwhile, Shiraishi asks Miki about the USB drive and Miki replies that she knows nothing. Shiraishi then tells Miki about the current problem and you can see how hurt Miki is that everyone thinks it is her. She hates that she has no one who believes in her, who trusts her. Shiraishi then tells Miki about her predecessor and what happened to her. The girl became the target of everyone’s hate (even Shiraishi’s) for no reason and got constantly blamed and bullied. 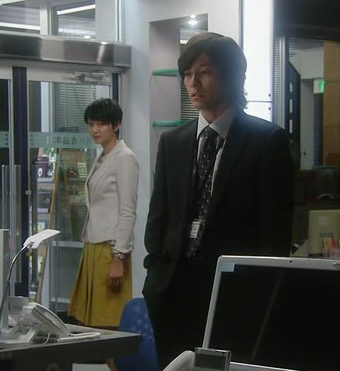 Shiraishi has felt guilty for not supporting the girl and just watching her leave. This story seems to really affect Miki as it is what she is going through currently. After hearing Shiraishi’s story and looking at her sleeping sister, Miki still goes ahead with writing her letter of resignation. She sneaks into the company that night and leaves it on Sano’s desk. But she doesn’t make a clean break as Kirino catches her and asks her if she quitting and running away. Miki says that she is quitting because it’s too hard. No one believes her. She could handle it until she lost Nakahara who always supported her. Without his support, she know feels she has nothing and it is too difficult to continue. She puts the letter back on Sano’s desk and apologizes to Kirino for the horrible things she said about Bando giving up and killing himself. Kirino then tells her how he refused a request that he disagreed with and fled Asia. He felt like he was disappearing and that no one was on his side. He then turns and looks at Miki saying that there was always Bando looking out for him. He then tells Miki that no matter how stressful things get, if she stands her ground it will definitely leave an impression and she may just realize that there is someone looking out for her as well. Kirino then asks if Miki quietly disappears, then won’t all of her feelings and experience mean nothing? Good point. I really do love his advice to Miki. And you can tell he does speak from experience. He can see himself in her. Kirino also mentions that she will never change if she leaves like this. On her way back home, Miki recalls Kirino’s words and all of the good and bad things that happened to her while in the company (mostly bad) but there were some highlights. Like bonding with Chiaki, having her form get complimented, calling all of the students to let them know about the late invitations to an event. She doesn’t want to be stuck as she is now, she doesn’t want her feelings and experiences to mean nothing. The next day we see that Kurita is battered and bruised all over when she is changing in the work locker room. It seems in the beginning of the series when she said her husband would beat her if she worked overtime was true and not a joke like she played it off to be. Meanwhile, Sano spots Miki’s resignation and quickly hides it when Umezawa walks in and asks for an updated. He is really annoyed that Sano hasn’t gotten anywhere with the USB incident. I am actually a little surprised that Sano didn’t immediately show him Miki’s resignation and say that the matter has been taken care of already. After getting severely scolded by Umezawa, Sano goes to her private stock of alcohol hidden in the office, but stops herself as she recalls Kirino’s words about not knowing a person’s true form and not seeing things properly. Oddly enough, this actually stops her from drinking, which is good, but still surprising. It looks like Sano just might be turning over a new leaf. Let’s hope so for her sake as well as her team’s. She takes out Miki’s resignation and you know that she’s wondering just what to do with it. Meanwhile, Shiraishi is frantically running around looking for information. Kurita comes in, surprising Shiraishi who then later asks if she was the one who lost the USB because she was taking work home so she didn’t have to work overtime. Kurita denies it, but you can tell that she is lying. It’s understandable, but still. It’s not good that she is pinning all the blame on Miki just to make her life easier. Later Miki courageously goes in to work to confront her coworkers about the bullying. Sano is surprised, but goes to pull her aside to talk to her when Miki starts talking herself. She says that this time the problem is not her fault. She says that since it wasn’t her she didn’t want to quietly quick. Yes, she has made some mistakes (who doesn’t? ), but when she says that she did not do something, then she really didn’t. She asks why she is hated and why they are all so bitter to her as she does not deserve such treatment (you, go girl!). You can see some uncomfortable and guilty faces with Miki’s soliloquy, but it serves them right for being so nasty. Miki then says she doesn’t want to quit like this and be a weak person and not be able to change. She then says she has done nothing to feel guilty about or be ashamed about. This really seems to touch Sano and Shiraishi. The latter stands up and announces that it wasn’t Miki who brought in the USB as all the documents on it were before Miki started working there. Shiraishi then shows Sano the proof. Miki is greatly touched by this and even more touched when Shiraishi defends her and asks the others to really look at Miki and start treating her better. Later, Shiraishi says she would have just let things go, but she was really hoping Miki would come back and fight it out. Shiraishi then tells Miki that she is leaving the company and that a part of her had hoped that Miki quitting over the incident would let her remain as a full time employee, but she is glad that Miki came back. At last someone is understand and being friendly with Miki (well, Chiaki did too, but that didn’t end well). Shiraishi’s last day comes and the team gathers to congratulate her on her hard work for them before dispersing. Kurita comes up and says that she didn’t have time to prepare flowers and that the party was off as her husband is still in town. It could be true, but I wonder if its revenge for Shiraishi telling the truth. You can tell Shiraishi is hurt by this after working so long and so hard in the company. When she goes to leave, she runs into Miki who thanks her for helping her realize that she is not alone and that there really is someone looking out for her. Sano then comes and apologizes for not being able to do anything to keep Shiraishi in the company. Sano then asks Miki about her resignation and Miki tears it up, making Sano and Shiraishi happy. Miki then presents a bouquet to Shiraishi and thanks her for the hard work. Sano joins Miki in this. It really touches Shiraishi. Things are finally looking up. Miki goes back to work, making Kirino happy to see that she is sticking it out and Shiraishi handed all of her work over to Miki before leaving. Awesome. Three weeks pass, Ai has a successful surgery and Miki finally decides to talk to Nakahara. They arrange to meet, making Nakahara happy that Miki is willing to talk to him again. Tachibana sees this and is not thrilled at all. She stops him before he leaves to meet Miki and tells her that the worse has happened – she is pregnant! Why do I think that is a lie? Miki has officially been stood up. 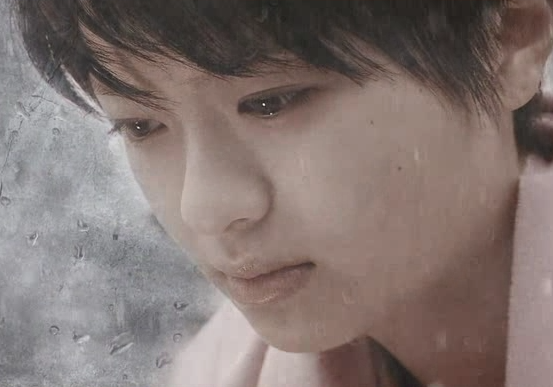 She heads for home where she gets a call from Nakahara telling her that he can never be with Kyuu-chan again. Yeah. You know Nakahara would be all noble and do the right thing (which marrying because you got a girl knocked up is NEVER the right thing – it is in fact, on of the worst reasons to get married, but whatever). My thoughts: I am glad that Miki decided to tough it out and am happy to see more depth and evolution in some of the other characters. I know that with three episodes left, there is still a lot of hard work ahead of Miki, not just at AOI, but with her personal life as well. Tachibana’s scheming does not surprise me, but I wish that she would not stoop as low as she did just to ensure Nakahara didn’t go back to Miki. And her not apologizing for stabbing Miki in the back because you never apologize in matters of love is ridiculous. But then again, she was never really Miki’s friend and always takes what she wants. Although, I must say that if Miki can’t have Nakahara it’s no big loss as Kirino is ten times better. Though a bit old for her. Not that they need to be a couple, I am just pointing out a fact. Ach, haven’t had the time to watch this yet. Will come back to comment about the drama when I’m done. Looks like the show will be tying up loose ends, apparently there’s an SP. Hopefully, this drama won’t be too much of a train wreck. I get really turned off when a drama runs the course of a soap. I totally agrees with the soap part. That’s why I stopped watching them, so annoying. 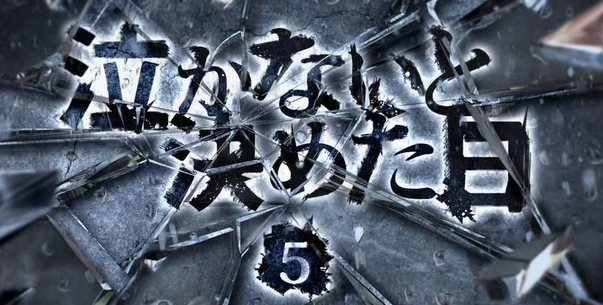 There is only 3 episodes left, so I wonder how well they will tie the loose ends. I must admit to being disappointed quite often. So much time is spent on certain plot elements until they run out of episodes and rush to tie them all together at the very last minute, usually with quite unsatisfactory results. (i.e. Yamato Nadeshiko Shichi Henge, Prosecutor Princess, and Boys Over Flowers (Korean version). Oooh, glad you mentioned Prosecutor Princess. Just finished watching that thing and I found it a tad uneven. I hate it when they lump all the dramatic parts at the end and then scramble for a happy ending.